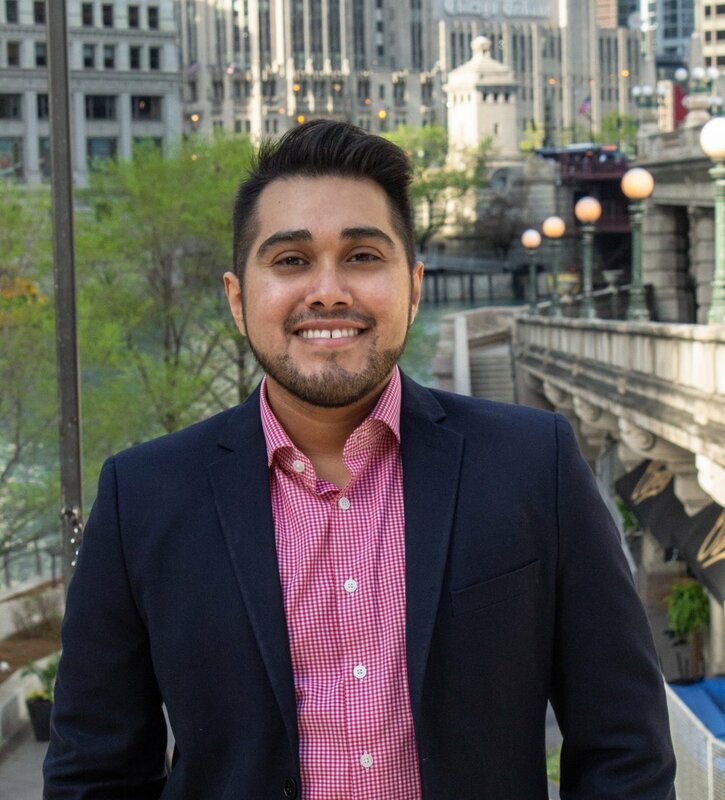 Top Young Professional Offers Insights Into Communications Changes — Public Communications Inc.
Digital communication channels continue to transform public relations, and it’s young professionals like PCI’s Michael Queroz, who are helping lead the transformation. 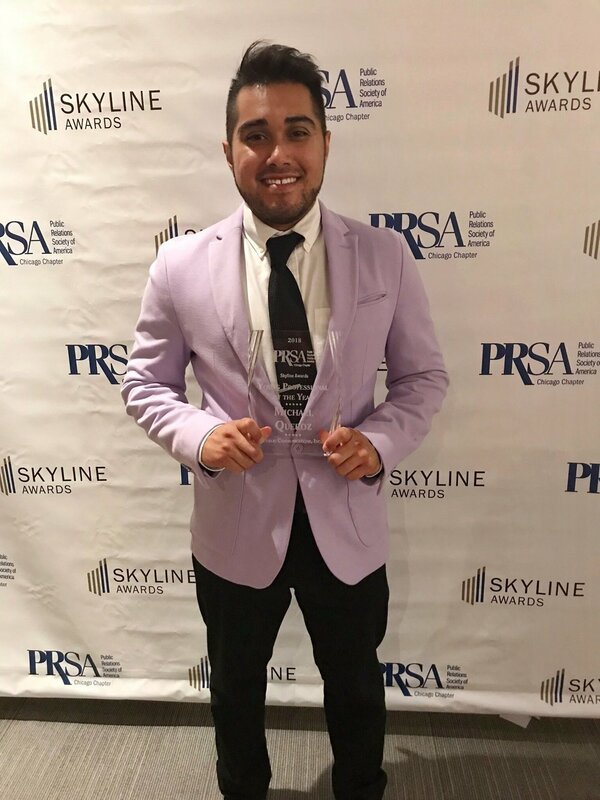 Michael, named PRSA’s 2018 Chicago Public Relations Young Professional of the Year, is an account supervisor who helps lead the agency’s digital services and strategies. He joined PCI in 2014 and continues to advance in his responsibilities and roles in the agency, including generously sharing his knowledge and experience as a mentor to young people interested in communications professions. Nominated for his strategic thinking, his skills and his determination to see his clients succeed, Michael is passionate about making a difference in the world. He combines his personal interests in helping youth and advancing social justice with his commitment to client programs that deliver results, which aligns with PCI’s mission to work with purpose. How do you stay current with PR trends and best practices in the digital era? I thoroughly enjoy reading articles about new digital PR trends outside of the office, which can be time consuming sometimes but ultimately helps me brainstorm new and different strategies for clients. You need to have a natural curiosity about trying new products and platforms because there are a lot out there. As long as I can remember, I’ve always wanted to be among the first to try new platforms or apps or learn about trends - for example, when Google + was a thing I joined the early waitlist to see what the buzz was about and how it could change social media. Of course, it didn’t, but being aware of how new platforms work and if they’ll be valuable communications tools is important. Working in PR in a digital era isn’t easy –when trends sometimes end before they even catch on. What are your tips for succeeding as a communications professional? Know your strengths, always be open to learning more, and remember to tap into the talents of others. It’s easy to succeed when you have a great team of professionals, like the team at PCI - we work together to solve challenges. You also need to learn how to strategize, which takes time and patience. In my honest opinion, you need to master tactical aspects of PR programs (pitching, writing social posts, etc.) before learning how those fit into overall PR strategy. But taking the time to learn how to properly strategize is so helpful – starting any program or project with a cohesive plan in place helps guide processes and ensure success. I’m most proud of PCI’s work with the Greater Chicago Food Depository because it was one of the first projects I led, including developing the strategy. The goal was to expand the number of in-school breakfast programs for in-need students in Illinois who didn’t have breakfast at home, making a successful day at school nearly impossible. Our team used the best of traditional media relations and digital strategies to achieve the client’s goals, leading to increased awareness and ultimately the signing of legislation that resulted in hundreds of more kids receiving breakfast in schools across the state. I still remember the day we learned the legislation passed – it was such an amazing feeling to know that we helped make that happen. It’ll always stand as one of my proudest accomplishments. What was something about PR that you wish you knew as a student? When I was a college student, I assumed that working at a corporation after graduation would result in greater long-term success. I’m happy that wasn’t the path my career took. My job at PCI was my first out of college, and I’ve learned that working at an agency is the best way to jump start a career in public relations. At an agency, you’re getting a variety of experiences that other people working in-house would take years to gain. Everything you learn within an agency is essential to becoming a better practitioner, which is why I’m happy I landed where I did. What’s the best advice you can give to someone entering the field? I always like to say to college students and interns to “go the extra mile, even if it’s a tight squeeze.” In the early days of your career it’s essential to establish with your coworkers (and yourself) that you have the stamina and intelligence to make it far in this field – all accomplished through hard, smart work. As long as you’re passionate about your work, going the extra mile shouldn’t be an issue. Find the work that’s right for you, and everything else should fall into place. My college guidance counselor at UIC once told me – out of the blue – that she could see me working with nonprofits and being very successful at it. I didn’t have that vision for myself and kind of wondered what the heck she was talking about. But through my work with the large number of nonprofit clients at PCI, I’ve realized that there’s an innate passion in me for working with clients with purpose. It’s an amazing feeling to work on programs that make a difference. Through client work, my colleagues and I have been able to help people beyond our office downtown – whether they’re students who need breakfast to succeed, conservation organizations that are passionate about saving wildlife, or an organization that wants to make Chicago a more enjoyable place for families. This award was not expected or even something I’d thought about, to be honest, but it’s much appreciated and it’s a great reminder of how much value working at a place that values not only clients with purpose, but me as a young PR professional.